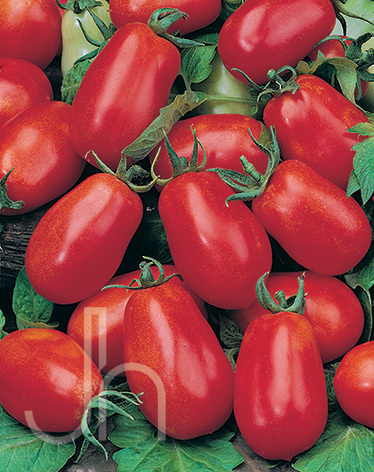 Roma tomatoes are great in Italian dishes! These red, blocky, pear-shaped fruits have thick, meaty flesh and few seeds and grow on determinate vines. They are a dependable producer for mid-season. Outstanding Features: Resistant to Verticillium, Fusarium Wilt Race 1, Nematodes and Alternaria. *As applied to tomatoes, determinate refers to the growing habit of plants that are bushy, whose fruit ripen over a 3 to 4 week period, and generally do not need staking. Caging is usually recommended. Click here to buy Roma Tomatoes direct from www.buygardenvegetables.com.